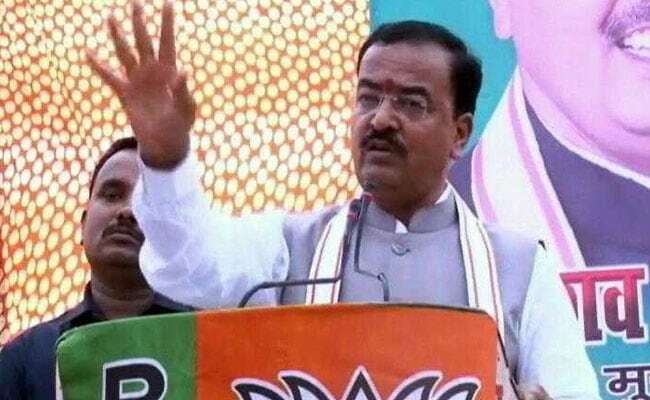 Uttar Pradesh Deputy Chief Minister Keshav Prasad Maurya on Sunday said he would not be surprised if the BJP bags all 80 Lok Sabha seats in the state, and asserted it was an "ideological victory" for the party that opposition parties were "pursuing soft Hindutva". Hitting out at political rivals, Mr Maurya said he was happy that Congress president Rahul Gandhi, whose party has been "consistently obstructing" the construction of Ram temple in Ayodhya, is now talking about his janeu (sacred thread) and chanting Om Namah Shivay. "And far as the Samajwadi Party is concerned, its founder Mulayam Singh Yadav had once ordered firing on innocent, unarmed and harmless Ram devotees (kar sevaks). And today, his son Akhilesh is coming to the Sangam and taking a dip (during Kumbh)," he told PTI in an interview. Mr Maurya said even Chief Minister Mamata Banerjee has to say ''Jai Mata Di'' in West Bengal. "And I feel the day is not far when you will hear (BSP chief) Mayawati chanting Jai Shri Ram," the UP Deputy Chief Minister said. "All these indicate our (BJP's) ideological victory," he asserted. He said the BJP ideology directly relates to national unity and integrity. "It talks of Sabka Sath, Sabka Vikas (together with all, development for all). It talks of justice to all and appeasement of none, and it does not differentiate people on the basis of caste or religion." Taking a jibe at the proposed anti-BJP alliance, Mr Maurya said, "Those who are talking about forging an anti-BJP gathbandhan are actually living in a state of confusion as the people of the country have already made up their minds to reelect Modiji as prime minister." He claimed the BJP's vote share will increase by at least 10 per cent in 2019 Lok Sabha elections. "We have coined a slogan this time - ''100 mein 60 hamaaraa hai, baaki mein batwaaraa hai'' (60 per cent of votes will go to the BJP and the rest will be divided among the rest)." He also went on to say that it would not be surprising if the BJP wins all 80 Lok Sabha seats in the state surpassing its own target of "74-plus".